After fighting with my old, cheap mandoline when I made the cucumber salad the other day, I decided it was time to take some of my hard-earned adjunct teaching money and put it toward a better piece of equipment. And, boy howdy, did reading those reviews on Amazon pay off! Here’s what I ended up getting. So, of course, I immediately had to find something to slice. 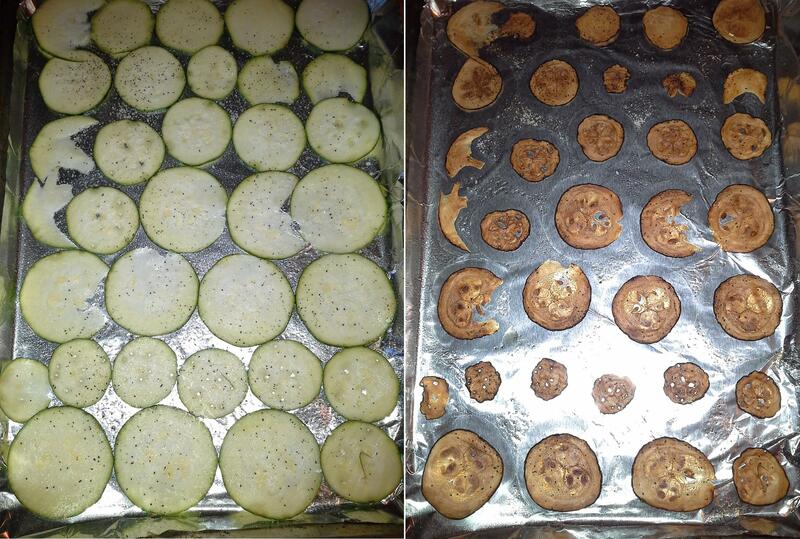 Thank goodness I’d already gotten some zucchini to try making chips with. Preheat oven to 225-230°F. Line baking sheets with foil. 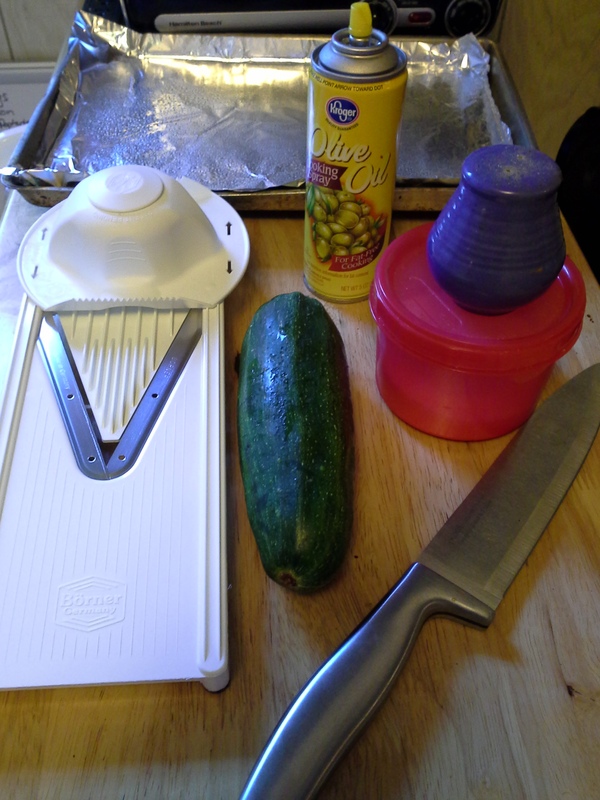 Remove the stem from the zucchini and slice into thin medallions with the mandoline. Spray foil-lined baking sheets with non-stick cooking spray. 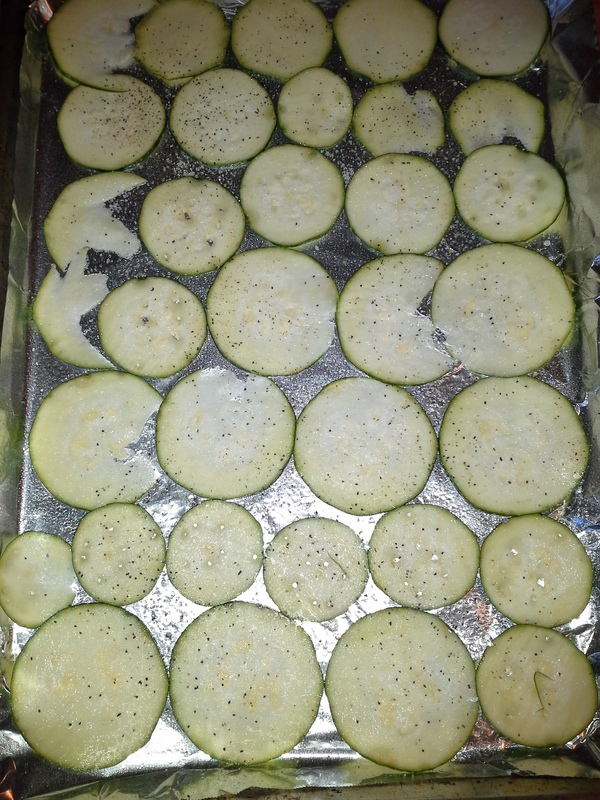 Lay out zucchini medallions side-by-side on baking sheets. It’s fine if they touch, but do not overlap. Once all are laid out, spray lightly on top with more cooking spray, then sprinkle lightly with salt and pepper. Because these will shrink quite a bit, you don’t want to overdo it with the seasonings. 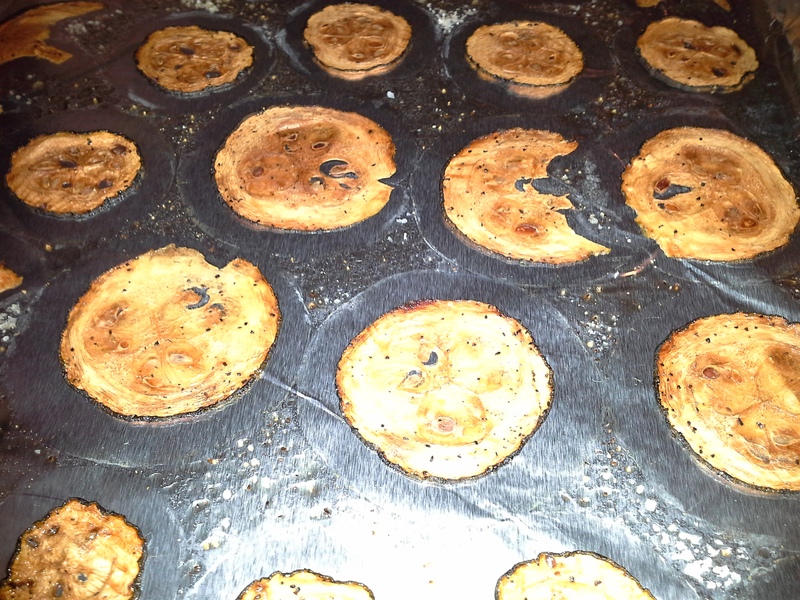 Place all pans in the oven and bake (dehydrate) approx. 2.5 to 3 hours. Let the chips cool, and, if not serving/eating immediately, store in an air-tight container. I think when I try these again later this week (for a road-trip car snack), I’ll use the thicker slice setting on the mandoline, as these were so thin they were hard to get off the foil when it came time to remove them from the pans. 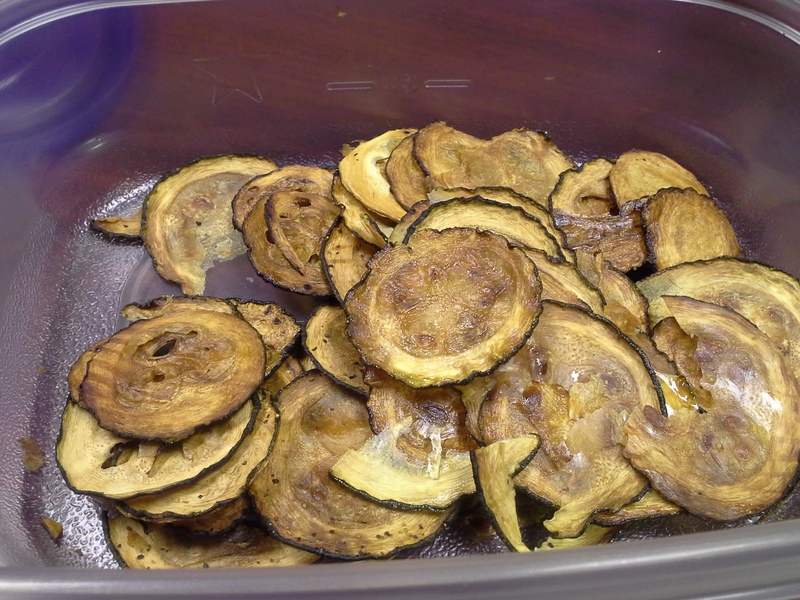 They stayed crisp overnight in a sealed plastic container, and have been a great snack to have at my desk today.